Oh yeah and these guys…. 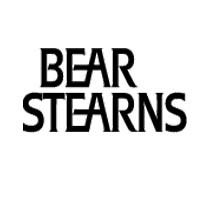 Amazing Bear Stearns (NYSE: BSC) Fact: Their building is worth 3x more than what their equity was sold for. damn this is so Overpriced!! …maybe for a quarter I would think about purchasing those loosers. You can’t buy a pound sterling for $2 anymore! F*cking Ben Chicken Little Bernanke. You know what Ben? The worst part of the Great Depression didn’t hit in the first 9 months. What are you going to do when you run out of bullets? You think about that o’ bearded one? Enjoy battling stagflation with a populist President and a Democratic congress you dumb f*ck. $2 will get you a ride on the subway. Oh for the days when hookers went for $2 and Banks went for $4300. Good times, good times. THanks for being so greedy that you have taken a top wall street firm and run it into the ground. What you haven’t heard yet because you were playing bridge at the time? Oh well your firm has just been sold to the lowest bidder. Thanks for ruining people’s potential retirement funds as you sit in your high priced Penthouse. The Bear Stearns staff who are now scrambling to find new jobs after so many long years of DEDICATION to the firm! $2 will get you a beer at a few happy hours in Toronto. There’s a bar in St. Marks Place where you can get 5 shots of anything for $10. That might be a great option for current Bear shareholders. bankelele you poor naive american… clearly you have never bought medicine outside america. Tiggy: not for long. A ride on the subway’s going to be worth more than Bear Stearns stock real soon. Nice to see that the drinks for the city slickers are so much more expensive than us mere mortals. $2 (about £1) being 15% of a drink? Go find somewhere cheaper I say! Well, yeah, $2.00 CANADIAN. Give it another 6 months and you’ll be able to buy a NYC apartment and a beer in Canada for 2 Canadian dollars. That’s true, Bankelele. We in the US have been subsidizing the free riders in the rest of the world for a while now. Keep up! * 2007’s salary for the top 4 or 5 at Goldman, Sachs. * The top 5 floors at 15 CPW (which wouldn’t give you as much square footage). * Half of Prince Alwaleed’s plane. Gimme my two dollars. I want my two dollars. Did read it correctly that JPM made 6 billion USD provisions for the coming trials concerning the Bear takeover? Peter, yes you did. Its transaction allowence, so to speak. Imagine, for a second, if they had allocated only $4bn to the price, and the equity holders would be netting close to Friday’s close. Its retarded, but its there for a reason. Well they would get sued anyway – whether they buy Bear at 2USD or 20, since it’s still under the suggested vaule in the confrence on friday – in the confrence call on friday (http://registration.mshow.com/39764449) the COO/CFO of Bear said that they are worth the book vaule – which was then way about the value at the NYSE. SO THEY LIED (well ok nothing extraordinary especially in these days)!!! I wouldn’t wonder if these people became partners at the big lawyer company which will now defend Bear and JPM. Ahh, yes, Continental’s a great standby for cheap whiskey and NYU pick-ups. I think I walked in on Cayne hotboxing the men’s room this weekend.